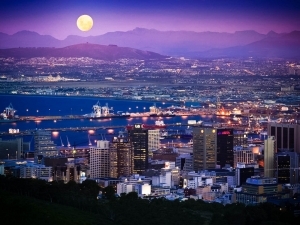 Cape Town is Africa's leading boom enclave - a world unto itself nestled at the tip of Africa, the last stop before a roiling sea that stretches to the bottom of the world. Culturally, it is a melting pot of South African tastes, and a crown jewel of the continent in terms of development, cuisine and lifestyle. Economically, its on fire, representing potential for Africa at large and led by a diversifying local economy.